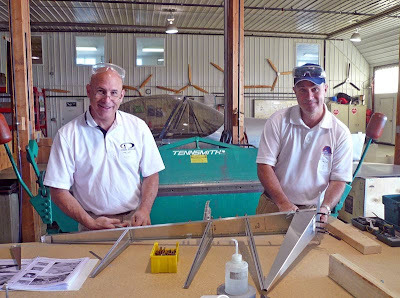 Dynoners Kirk and Mike were spotted at the Zenith Hangar Days in Mexico, Missouri working on their construction skills. Congratulations to Dan and Jan, winners of our SkyView Pricing contest! They had the closest guesses to the actual total price of the SkyView components listed in the contest. Jan lives in Berghem, Sweden. He currently flies a Cessna 172 but is building a Van's RV-7A. Dan lives in Katy, Texas, and is also building a Van's RV-7A. We don’t know what it is about RV-7 builders, except that they must know an exceptional value when they see it! We had a lot of entries, and we thank everyone for taking the time to make your guesses. The average of all guesses was $1000 over the actual prices, which means that pilots must believe we are offering a good deal. And once everyone sees the engineering details and quality built into the SkyView products, they will get even more than they thought they purchased! You can view the SkyView prices here.